Being a Pet owner is a love-hate relationship. Love the pet-hate the stains. Many of my customers complained that they tried removing stains but the smell returns. I’ll share with you some of the tips and tricks I’ve learned over the years. Even though you clean the carpet the backing/Padding will absorb the majority of the urine and odor, if possible do not allow the stain to sit too long. 1. Use a clean cloth to blot out the excess residue/Liquid. Imagine a circle 3 to 4 inches wider than the spot and try not to spread further. 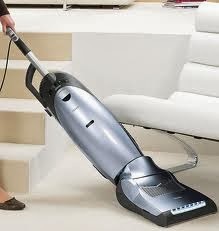 If the stain already dried, then vacuum thoroughly with a good deep cleaning unit. The stain will remain if the carpet is dirty. 2. Use your desired stain remover to treat the area and start blotting. Read the instructions first. (My personal recommendation: Use a small brush or cloth to scrub the stain. Use circular pattern to focus your efforts and try not to widen the area. 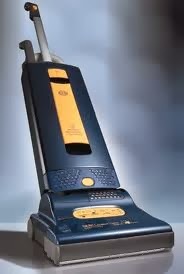 You can also use a Bissell spot cleaner with water only to treat and vacuum the area. 3. Then apply a little more of the stain remover and cover with a damp clean cloth overnight. This will allow the enzymes to work on removing the odor from the padding/Backing. 4. The next day remove the cloth and allow time to dry. 5. Then vacuum thoroughly. You can even use the Bissell Spot cleaner. Note: Removing pet stains is a process. Do not buy into the 5 minute promises that some product boast about. That doesn’t mean that the product doesn’t work, but the time is grossly exaggerated. Hope this helps. So the weekend is here and you'd like to shampoo your vehicle's interior. There are a few portable options available to you. 1. Upright Systems: If you have an upright shampoo system with a hose attachment and are willing to struggle with the lack of flexibility then go for it. You would be advised to learn about the do's and Don'ts for your particular cleaner. Repairs can be costly. Bissell proheat and proheat 2x require Bissell solution only. The pumps are very sensitive. I recommend that you try not to use dish washing detergent unless you have to. I know of a few homemade solutions recipes out there, but I'd wait until the warranty is expired before taking that risk. Bissell heater and pump will start giving you problem when you use high soap solutions. Hoover is a bit more forgiving on the type off solution, but keep in mind that the soapy solutions will develop a gummy residue that can clog the jets. So rinse after every use. Kirby also has a portable shampooer, it requires an extra step or two and more elbow grease, but if you you’re interior to dry quickly than it's a good choice. 2. 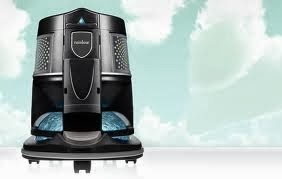 Portable Systems: Bissell has a range of portable shampooers available. The little green proheat, spot clean and some just for pet owners. The warning is the same for the solution. Make sure you vacuum thoroughly and remove pebbles and debris before shampooing. Rug Doctor also sell a portable shampooer it’s a little more expensive than the Bissell. 3. Local car wash: I’m not the biggest fan of the Local car wash, but if you must; have fun. You may have to use the vacuum hose to remove the solution. I believe the majority of the stations only allow you apply the cleaning foam without an extractor. One of my favorite buying quotes: "The better to way economize is to buy once and buy right". It goes on to say, "buying cheap merchandise to save money is like trying to stop a clock to save time". I think the majority of people can understand and relate to this quote, but we may have different interpretations for the cheap merchandise part. For some, cheap merchandise means getting good quality for less. And other people may see cheap as bad workmanship with horrible materials for less, which in the end, costs more. My old boss always told me that you can't make a better product with poor quality materials. Now grant it many companies tried cheaper labor with good quality to be able to sell more at a cheaper retail price. While other formulas include cheaper labor combined with cheaper materials. And that may work for a while but eventually the building falls. Anyway I'll make the effort to keep this in the context of this site. Vacuums and friends. most of us don't start out with the most expensive cleaner. we start with a little kick around vac, and after a few trips to the department store, and finally after wasting time and money, we decide to invest in a top of the line cleaner. Top of the line, meaning designed well and built to last; not price. Now there are some expensive poorly designed machines and some moderately price but well designed machines out there. The trick is know what to prepare for. After all, we want a cleaner to do a great job and stand the test of time. So here are a few things to consider. If you plan on using a cheap vacuum (by choice) be prepared to vacuum more than normal in order to get half the job done. And prepare your budget to replace them often. But if you go this route do it on purpose not because you just don't know the damages involved. carpeting, furnishing, air quality, time and money. If you are going to spend a large sum on a vacuum you should either be intimately familiar with the unit or test before you buy it. If you are planning on buying the Kirbys and the Rainbows of the vacuum world, then be prepared for the learning curve and the discipline need to properly operate and maintain these units. With water units be prepared to empty the water bin after every use. Make sure that you are comfortable pulling a canister around. Try it first. For Kirby type users and other machines that require disconnecting in order to uses the multiple units. Be prepared to learn the basic operations or frustration will be a constant companion. There're not a lot of things worst in the consumer world than spending a large sum on an item and not being able to use it. What ever you do, (if you're financing an expensive) please, no 30-36 month plans. You'll lose motivation after 18 payments. Then you'll down right hate the machine and the person who sold it to you. The unfortunate truth about products made today, is that most of them are purposely made with a limited shelf life. some made to discourage repair and we as end-users are getting use to this trend. Stay tuned for what to look for when selecting a vacuum or shampooer.